Francis is riffing the great bishop of Recife,Brazil, Dom Helder Camara who used the line 40 years ago. John Paul ll fixed him and replaced him with an Opus Dei bishop who never had the smell of the sheep on him. He urged an international gathering of grassroots social activists to struggle against the “structural causes” of poverty and inequality, with a “revolutionary” program drawn from the Gospels. “The poor no longer wait, they seek to be protagonists, they organize, study, work, demand and, above all, practice that special solidarity that exists among those who suffer, among the poor,” the pope said Oct. 28, to a Vatican-sponsored World Meeting of Popular Movements. Most of the JP ll bishops would never go near such a meeting.They don’t go where they can not control the agenda.And poor people.Forget it. Wouldn’t it be nice if Canadain bishops showed such solidarity with working people? Deploring the displacement of his “brother peasants” from their “native soil,” the pope warned that traditional rural life is at “risk of extinction.” He also said “financial speculation” on food prices was to blame for the starvation of millions around the world. Obviously a commie or a fellow traveller. So said Samuel Johnson in 1775. Frank Magazine used to run a funny bit seeing who the first person to wear a poppy in the parliament—always way before Remembrance Day. It was always Preston Manning the dark prince of the prairies, a man who has done as much as anybody to prepare the way froe Stephen Harper, the democracy destroyer.Ever the great Canadain patriots. 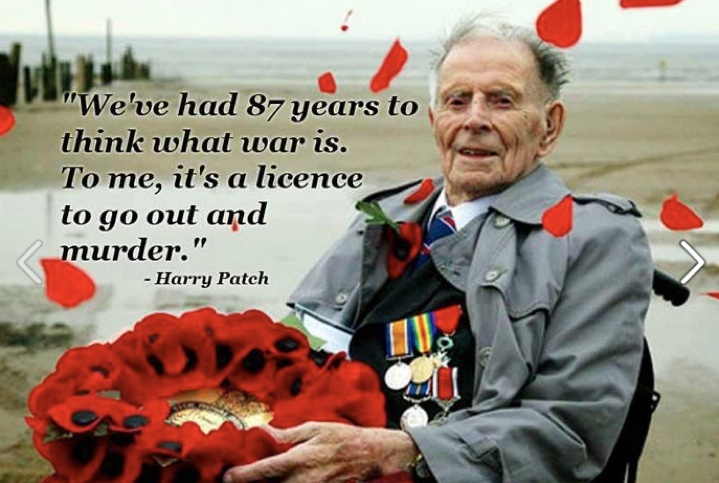 They wear poppies and then do all they can to erode the real Canadian democracy. Guys like this are always wearing patriotism as their get out of jail card, their cheap way of bumping military budgets while eroding the tax base for social goods—which we cannot afford. always more monery for war preparation and tax breaks for their base.And all that cheap rhetoric about fighting the terrorists. I often find it hard to feel empathy for Prime Minister Stephen Harper. But when I saw the grim picture of him talking on the phone following the end of his confinement in the locked down House of Commons yesterday, I sensed in him a vulnerability he rarely exhibits. Harper, like his fellow MPs, Parliamentary staff, media, visitors and children in the downstairs daycare, had likely hunkered down behind locked doors, no doubt traumatized by uncertainty when an armed gunman entered the building. Because no one knew who the gunman was after, all were potential targets. For half a day, everyone on lockdown no doubt felt the fear, despair, sadness and fragile sense of mortality that people in Iraq and Syria have experienced daily for decades, an extra punch of which they will soon receive at the hands of Canadian CF-18 bombers. It’s the kind of trauma not to be wished upon anyone, and I hope all affected will get the kind of counselling and therapeutic support necessary to deal with what may emerge as multiple cases of Post Traumatic Stress Disorder (PTSD), otherwise known as the condition that you get denied proper treatment for when you are a returning Canadian military veteran. Like those in Afghanistan who suffered 13 years of Canadian bombardment (upwards of a billion Canadian bullets fired), night raids, transfers to torture, and the daily indignities of life under military occupation, those Parliamentarians with the power to declare war — and send somebody else overseas to fight it for them — felt, in a relatively limited fashion, what it’s like for millions of the world’s war-weary populations. The image of a cowering John Baird or Jason Kenney hiding in a barricaded office must have proven a stark contrast to the swaggering, macho manner in which these men urged Canada to declare war on ISIS, further fuelling the flames of fear and hatred against Muslims. Thankfully, most of yesterday’s hostages to violence in Parliament went home last night to warm houses with showers, uninterrupted electricity supply, food in the fridge, and the knowledge that this horror is unlikely to happen tomorrow and four or five times for the remainder of the month or periodically for the rest of their lives. But had this happened in Iraq, such relative safety would not be guaranteed, in part due to Canada’s role in obliterating that nation’s economy, electricity and water supply, and health-care system, first though intensive bombing in 1991, military enforcement of a decade’s worth of brutal sanctions that killed a million Iraqis, and renewed support and participation in the 2003 invasion that was made possible by Canadian weapons, technical components, navy personnel and equipment, embedded troops, and high-ranking military officials. It was also out of Iraq’s torturing prisons during the occupation that numerous ISIS leaders emerged. The tragic murder of a young Canadian reservist and the Parliamentary shootout was all the more shocking because of its sudden, seemingly out-of-the-blue fashion. In the same way, on a daily basis in tribal areas of Pakistan and Afghanistan, in Yemen, in Somalia, children in schools, celebrants at weddings, and other individuals and families are suddenly, shockingly killed by a Hellfire missile fired from a remote control-operated drone, likely with the Canadian-built targeting camera courtesy of L-3 Wescam in Burlington, Ontario. What is being treated as Canada’s 9/11 is a day that recalls the comments made half a century ago by the great Malcolm X, who commented that the assassination of President Kennedy was a case of “chickens coming home to roost,” a result of a “climate of hate” fostered by a U.S. political and corporate establishment regularly overthrowing governments and assassinating (or plotting against) a variety of leaders from Patrice Lumumba to Fidel Castro. At the time, Malcolm X was vilified for speaking the truth, one that America was not ready to accept, just as many Canadians may be unwilling to do now. Indeed, how many Canadians reading that last paragraph would step back and say, “That’s them, not us”? The horrible sound of gunfire in Parliament must have sounded a small bit of like some opening moments during the Canadian-supported coup against the democratically elected Chilean government of Salvador Allende in 1973, one of many coups Canada has given support to (including more recently the coups in Honduras, Egypt, Haiti, etc.). 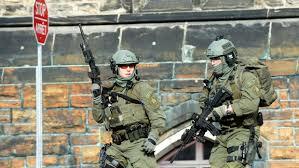 One reporter gasped that it was simply incongruous to see SWAT teams escorting her through the Parliament in which she worked, and yet Canadian policy throughout much of the world forces her counterparts to walk that ring of heavily armed men on a daily basis. Rather than viewing yesterday’s tragic events as a wake-up call to seriously examine Canada’s negative role on the world stage and the inevitable “climate of hate” to which we are contributing, we can expect nothing less than a ride on the Platitude Express, which embarked within minutes of the first bullets being fired. From endless references to the “loss of innocence” to the pronouncements that “things will never be the same” (especially in the “hallowed halls” of Parliament), we are witnessing the cranking up of our self-loving myth machine into high gear. In this climate, do not expect our finest hour. Yesterday’s events will be used as the springboard to call for greater militarization of the national culture and justification for unending war against ISIL/ISIS or any other convenient enemy-du-jour. This will lead to further increases in war spending, despite the fact that the War Dept. was supposed to come up with $2 billion in cuts. The wars in Ukraine and Iraq — costs for which are being kept secret, without much protest — will easily double that. These events will also be used to attack anyone who questions Canada’s role in wars past or present. The events of yesterday will likely also have a congealing impact on Parliamentarians who, understandably, shared a trauma together. Wednesday was supposed to be the Harper government’s opportunity to unleash a new round of legislative measures designed to give CSIS and the RCMP even more freedom to trade information with torturers, monitor people overseas, take part in extraordinary rendition programs, and be completely immune from prosecution and oversight by the creation of a special class privilege that would assert the right of CSIS agents and informers not to be questioned about their activities in any court of law, public or secret. Perhaps the most immediate impact will be felt in certain communities targeted for racial and religious profiling. While Canadian soldiers have been told to stay indoors and not show themselves in public, individuals of South Asian or Middle Eastern heritage, and certainly anyone who may be a Muslim or perceived as one, may have second thoughts about being out in public. These communities will be the subject of demands from the media and some “community leaders” to “out” radicalized young people, to call in “suspicious” behavior (undefined), and to report their neighbours to CSIS or the Mounties. They will find greater difficulty travelling, and they will learn first-hand about something called the Passenger Protect Program (or no-fly list). This is especially so since, while we do not know much about the shooter, media have been quick to point out that although he was a Canadian, he was of “Algerian” heritage, and a recent convert to Islam. Both are completely irrelevant factors, but so commonly part of the daily anti-terror discourse that no second thought is given to the consequences of bringing it up. Glenn Greenwald adequately summed things up by asking why Canada, a nation that has been at war for 13 years and counting, would be shocked that someone might actually (however unjustifiably), do what he felt was needed to fight back. But as a country that wages war but has never suffered from war the way Russia or France or Syria or Iraq have, we have always been insulated against the consequences of our actions, buoyed by a mythology that allows us to wear Canadian flags on backpacking trips through Europe. After a long day focused on these gripping events in the nation’s capital, I have to wonder if this direct experience of fear and trauma will force us to examine our own addiction to violence as the solution to conflict. Yesterday provides us with an opportunity to reflect on our insidious contribution to the climate of hate, and the chance to disengage from our increasingly militarized culture. 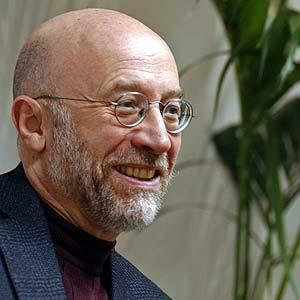 Tony Judt died in 2010.A towering intellectual whose book on the 20th century is required reading, he was engaged to the very end a premature demise a victim of ALS. A younger colleague, historian Tim Snyder was smart enough to realize that one of the brightest lights was about to dim sohe sat down with Judt and let the tape recorder roll. The result was Thinking the Twentieth Century, with Timothy Snyder (2012). An early Zionist Judt worked as a youth on a kibbutz and served in the IDF he then had an epiphany: he knew no Palestinians! There was no turning back. The very idea of a “Jewish state”—a state in which Jews and the Jewish religion have exclusive privileges from which non-Jewish citizens are forever excluded—is rooted in another time and place. Israel, in short, is an anachronism. As the prominent Labor politician Avraham Burg recently wrote, “After two thousand years of struggle for survival, the reality of Israel is a colonial state, run by a corrupt clique which scorns and mocks law and civic morality.”1 Unless something changes, Israel in half a decade will be neither Jewish nor democratic. He outraged fellow Jews, American Zionists. Phil Weiss has clipped this following piece from the book exposing the frequent know nothing columnists and Israel boosters David Brooks and Tom Friedman who were gung ho about GW Bush’s excellent adventure which has brought total chaos to the Middle East and indeed to the world. Here we had the public intellectual who now occupies not only prominent television space but also op-ed pages of the most influential newspapers in the English-speaking world: and he knows nothing. Men like Brooks know, literally, nothing. So I encountered in those troubled months a combination of catastrophic acquiescence in authority and plain, old-fashioned dumb ignorance masquerading as commentary. These were the circumstances which allowed a criminal political action to be pushed through the public space with very little opposition. Brooks is an interesting case because it’s all done with mirrors–there is no expertise. The apparent expertise consists of the capacity to talk glibly each week about any public event in a way that readers have gotten used to as a sort of enlightened commentary. Thomas Friedman, another prominent contemporary “expert,” trades on a slightly different notion of expertise. Notice that pretty much every Friedman column includes a reference to som famous person he’s spoken to. So he makes explicit the notion that your expertise is a function of your contacts… It doesn’t really matter, actually, who it is. It’s the notion of access to something special. In Friedman’s case, access to information is very carefully recalibrated as the acceptable middle ground on any given policy issue. And Friedman’s position on the Iraq War was contemptible. Not only did he run along with everyone else, but he actually probably slightly misread the tea leaves and ran along a little too fast on the anti-French, anti-European thing. It was Friedman who ran a column that said that France should be kicked out of the U.N. Security Council for having the chutzpah to oppose the United States on such an important issue. Gee, we miss Judt now and the NYT keeps printing folderol from Friedman and Brooks. And Jesus said, “Not everyone who says to me, ‘Lord, Lord,’ will enter the kingdom of heaven, but only the one who does the will of my Father who is in heaven. And the great Christian nation to the south which pours billions into war and whose annual genuflection to Mars equals the sum total of the next 10 nations is asleep at the wheel when it comes to the Ebola crisis. Yes folks meet the tiny island nation of Cuba a nation of 11 million people, with a GDP of $6,051 per capita is leading the effort to halt a potential pandemic. 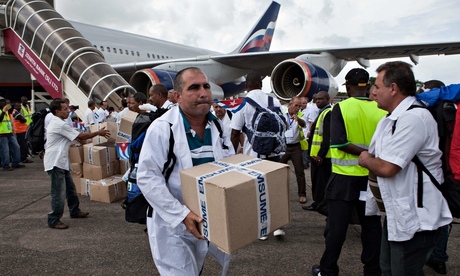 A brigade of 165 Cuban health workers arrived in Sierra Leone last week, the first batch of a total of 461. In sharp contrast, western governments have appeared more focused on stopping the epidemic at their borders than actually stemming it in west Africa. An outbreak which could have been stopped in its tracks at the outset by the great powers now threatens to go viral. THE USA always the first to go to war and prepare for war seems to be asleep when it comes health sacares like this. With the greatest medical talents in the world it seems to be led by an impotent government and other great powers are not much better. China, Brazil, France and the UK —fellow dozers. And there’s Cuba always ready with limited resources ready to lend a hand. Stark panic about to set in —all it takes is a couple of deaths, even one in “the great state of Texas” and suddenly great concern. Thousands of deaths elsewhere, not so much concern. 50,000 Cuban-trained health workers are active over 66 countries. Cuba provided the largest medical contingent after the Haiti earthquake disaster in 2010, providing care to almost 40% of the victims. Makes a person wonder, don’t it? The death of Bob Carty on September 21 led to several thoughts. First, a life well lived, a committed passionate life on behalf of what the Bible calls the anawim, the little ones. Skilled in many ways, personality and wit , written word and the audioword as well as with guitar, Bobby use his abundant talents on behalf of the kingdom of God. He lived for peace and justice. His solidarity work on behalf of Chilean exiles and his reports from Latin America on public radio were respected by all. A gifted documentarian on the radio waves with the CBC , Bob won all the awards there were to win always holding up the forgotten in a privileged place. But when I think of Bob it struck a chord of sadness. All the lost years of Youth Ministry in the Toronto diocese after the clueless hierarchy ditched the Youth Corps where Bob got his start in the late 60s. As the old folk song said, Wasn’t That a Time. Tommy McKillop hired people like Bob to take the energy of Vatican ll into the world and transform it. What a formidable group, lay and priest, on fire for justice inserted into the body politic as agents of change. Youth ministering to youth. What an original idea—and what great results. Those years were the halcyon days of gospel vitality in the Toronto diocese. Naturally they were under-appreciated by hierarchs and dead heads but loved by the youth they came in contact with,What was there not to love? The John Paul ll brigade literally threw away a miracle. Youth Corps of which Carty was a dynamic member was allowed to wither on the vine, to be replaced by what? Nada, niente, zip. McKillop was never understood by his fellow priests and like the prophets of old was treated very shabbily. Carty went on to do great things with his life. Gracias for a sterling life, sadness for the lost opportunities to evangelize youth. The last time I was in israel i was at a friend’s house for dinner. His 22 year old son was recently demobbed from the IDF. His daughter, visibly nervous, was a bout to do her two year stint. I’ll never forget the son’s comment. What kind of a government asks young impressionable kids to betray their humanity on a daily basis and humiliate another people? It is no wonder that young Jews in the diaspora are bailing out of synagogues when silence becomes the sickening norm, when spiritual leaders are ruled by “cheque book Judaism” and refuse to speak truth to power, in this case an out of control Israeli state. 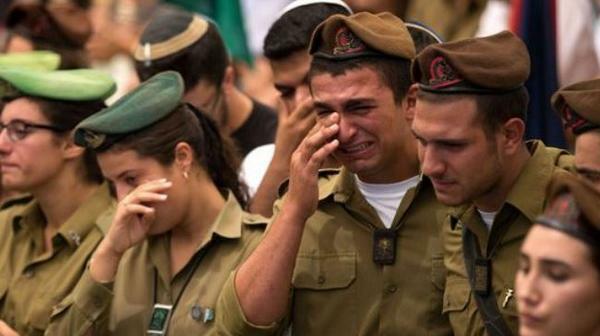 Israeli Defense Forces soldiers have historically had a very high rate of suicides, in spite of the fact that this rate had been improving recently. That improvement, however, took a turn for the worse after the latest IDF military operation in Gaza. Now, the Israeli military police have opened an investigation into what is casing the recent spike in IDF suicides. Three members of an elite military unit recently committed suicide. The soldiers were members of the Givati Brigade, who were directly involved in the Gaza ground operation during the recent War on Gaza. 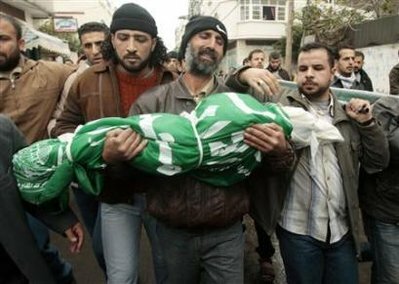 One after another, the Givati soldiers began committing suicide after the Israeli operation ended. The Israeli daily news Maariv explained that these were all cases of self-inflicted gunshot wounds, with two of the soldiers shooting themselves near the border with Gaza. Yom Kippur the holiest day in Judaism’s calendar is today. Such a wonderful serious holy day ending the high holy days which began with Rosh Hashanah. I have no way of knowing what will take place in the synagogues of my city. I wish all of them a good day. In South Africa a group of Jews are dedicating their fast to reflect on being Jewish in the context of the occupation of Palestine. This seems to be a creative and very contemporary attempt to make the feast contextual and meaningful. All religions of course have similar times of serious reflection on our lives. Isaiah’s admonition and warnings are germane to the point and this reading I have often used in the Christian period of Lent. At the forefront of wrongs we need to right is the ongoing mainstream Jewish support for the Israeli colonization of Palestine, and its continued occupation of the West Bank and Gaza. This is being done in our name, and we have not done enough to stop it. It is for this reason that we believe that Gaza is the most urgent issue for us to reflect on this Yom Kippur. We will be going out and physically fasting and raising money for those in Gaza who have suffered unconscionable horrors. Dedicating our Yom Kippur fast to the people of Gaza follows this line of thinking. Unlike the dominant Zionist organizations, some of whom preach ethnic and religious nationalism and the bombing of Gaza directly from the bimah (the Jewish equivalent of a pulpit), our beliefs are based on tolerance, inclusivity and social justice. We think that this is what Judaism, and Yom Kippur in particular, is all about. This is prophetic Judaism at its best.